Celebrating Easter around a beautiful table makes the whole holiday just that much more festive. And with lively spring colors and inspired patterns, how can you not have fun creating a setting to gather with family and friends? Our table linens make for the perfect addition to your Easter tablescape, and below, we’ll guide you through everything you’ll need to make it happen. Decide on a theme: Maybe tulips speak to you, or perhaps you’re crazy about easter eggs — choose a component to base your tablescape design on and build from there. Start with a table linen: Acting as a beautiful foundation, a tablecloth or table runner will set the scene for your tablescape. Saffron Marigold offers plenty of Easter tablescape options — we’ve suggested a few of our favorites in this post below. Create a centerpiece: No tablescape is complete without a knockout centerpiece, and there’s no one-size-fits-all solution. A great centerpiece features layers of texture, material and height to provide a feast for the eyes. Combine candles, greenery, floral, vases and other embellishments — like easter eggs or a bunny motif — for a presentation that’s uniquely you. 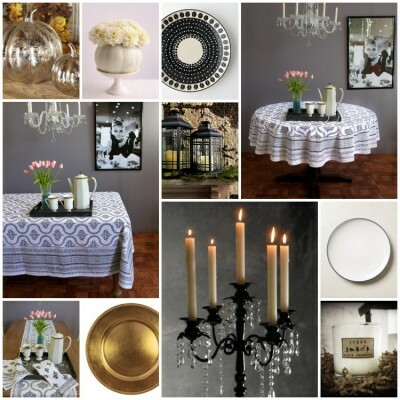 Add table settings: Dinnerware, silverware, glassware and a placemat for each guest is integral. Whether you break out your fine china or use a more casual option is up to you! Place final details: Added touches like placecards, favors, a little menu or chair decorations will elevate your presentation and wow your guests. 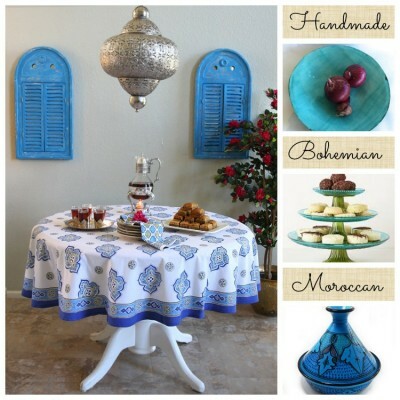 Choosing an Easter tablecloth, the foundation of your Easter tablescape, is exciting and creative. We’ve included a few of our favorites here. Click any of these links to go directly to your choice, or simply scroll down this post! To find the right size, factor in your table size, shape and type of event. For round tables, take the diameter of the table and add a “drop” measurement, or the length the tablecloth will hang over each side of the table. Eight inches is an appropriate drop to start with for most events. So if your table is 54 inches in diameter and you need an 8-inch drop on each side, the tablecloth should be at least 70 inches in diameter. Similarly, with a rectangular table, add the drop to each side measurement: A table that’s 80 inches long and 42 inches wide would require a tablecloth that’s at least 58 inches wide and 96 inches long. To choose the correct size of table runner, divide your table width into thirds and allow for at least an 8-inch drop on each side. So, if your table is 42 inches wide by 72 inches long, an 18-inch by 90-inch table runner would be a perfect size. In terms of design, think spring: Light colors, floral motifs and other details that evoke the changing season are a great place to start. At Saffron Marigold, we have many table linen options for Easter. You will find a few of our suggestions here! 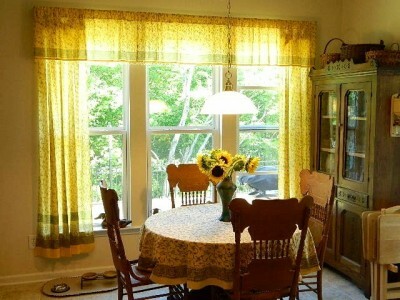 Waltz of the Vines linens create a cheerful eating space!